We had breakfast here before leaving KL. We were sending Angels back to hometown as the school season is about to start. In case you didn't know, Angels are studying in hometown as we feel that the education level/ system in KL is unbearable and costly. 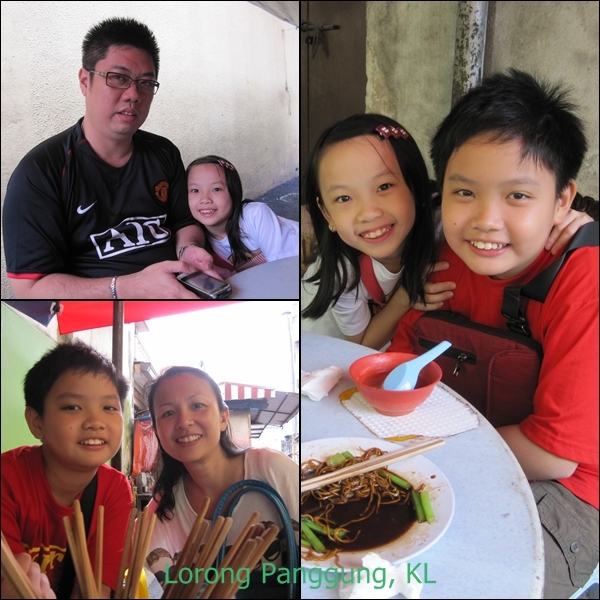 The stall may looked like any other stalls in a small lane in KL but it serves a superb Wan Tan Mee! I personally enjoyed the noodle, not soggy, a little springy with the right blend of sauce. The wan tan was locally tasty! Of course, char siew was of normal standard, one would know by looking at the colour. Total bill that day was RM20 for 4 plates of dried char siew wan tan mee and additional 1 big bowl of wan tan. To sum it up = affordable, cheap and worth it.